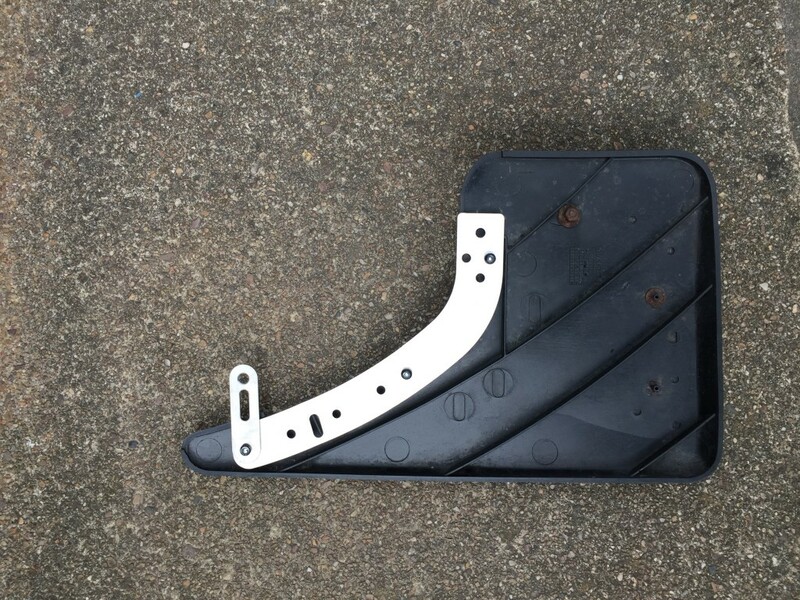 Stainless steel brackets for OE 205 GTI plastic front mudflaps. The original steelwork is coated mild steel. In the firing line of road debris and stones thrown from the front wheels over the years, these commonly end up looking very tatty. Laser cut replacements supplied with black pop rivets allow you to carefully remove the old rusty metalwork, drill 3 holes, and then mount these new parts. 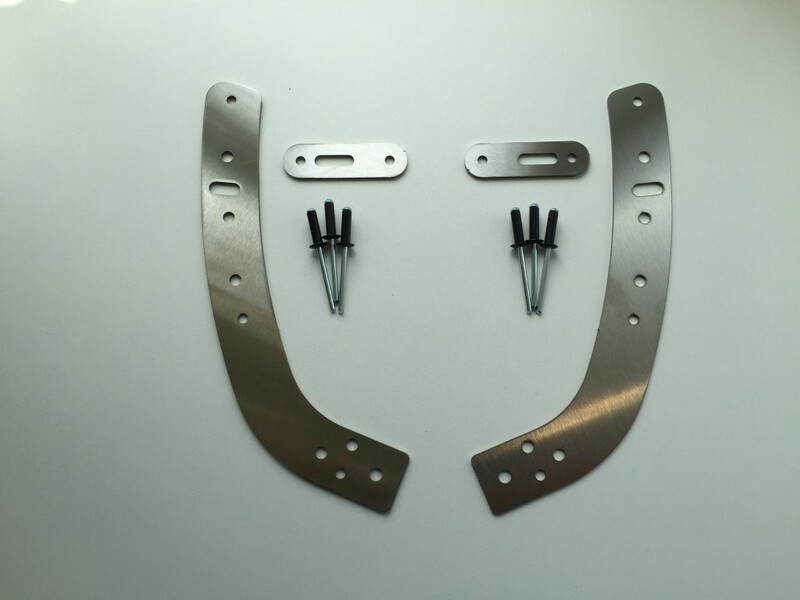 Supplied as a kit to do 1 pair of front mudflaps with rivets included, the small link piece as pictured will need a gentle bend to suit the fitment on your car. Please note! No plastic mudflap is included, only the stainless metalwork and rivets. Priced at £25 including UK postage.